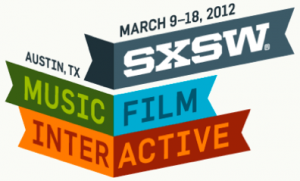 This year attracted a record number of proposals (3,283) for sessions at SxSW Interactive. Listed below are some of the topics I hope to see brought to life, hashed out, revered and questioned at the festival next March. As they primarily (although not all, black market innovations and digital nomadism made the list) relate to accelerating social change, I hope you’ll find them as thought-inspiring as I do. As you’re rendered breathless by the scope of topics and the expertise of speakers, I urge you to cast a vote in support! Representation for good starts here. 1 question this session will address: How cutting-edge businesses are using specific happiness archetypes to differentiate themselves. 1 questions this session will address: What can black market innovators teach me that’s relevant to my business? 1 question this session will address: How do we tap into people’s desire for identity and belonging to expand our empathy and impact? 1 question this session will address: What are the most important elements to consider when launching a game for social good?. 1 question this session will address: Can you measure social change and if so, how the hell do you? 1 question this session will address: Beyond reporting, what’s the exciting frontier in CSR communications? 1 question this session will address: Who are the innovators applying Open Growth and what is key to their success? 1 question this session will address: What are the five critical cultural items that have to be addressed for a company to successfully insert social media into all its business processes? Startup & Nonprofit: What Do They Have in Common? 1 question this session will address: Can nonprofits really benefit from taking a business/entrepreneurial mindset, or is it all talk?. 1 question this session will address: How are B Corporations innovating, particularly around media? 1 question this session will address: How do celebrities and weblebrities (e.g., famous bloggers) affect online fundraising? 1 question this session will address: How long does it usually take for a social good website to find a funding model that works?